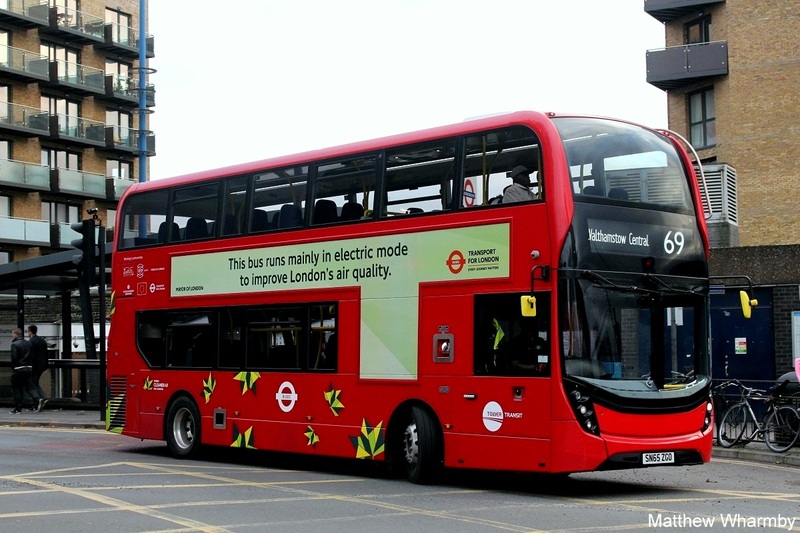 Almost a third of London’s bus fleet will soon be running on a greener blend of diesel, resulting in a huge reduction in CO2 emissions of 21,000 tonnes each year which comes on top of the 48,000 tonne CO2 reduction from 2013 levels as a result of the introduction of lower emitting buses such as hybrids. 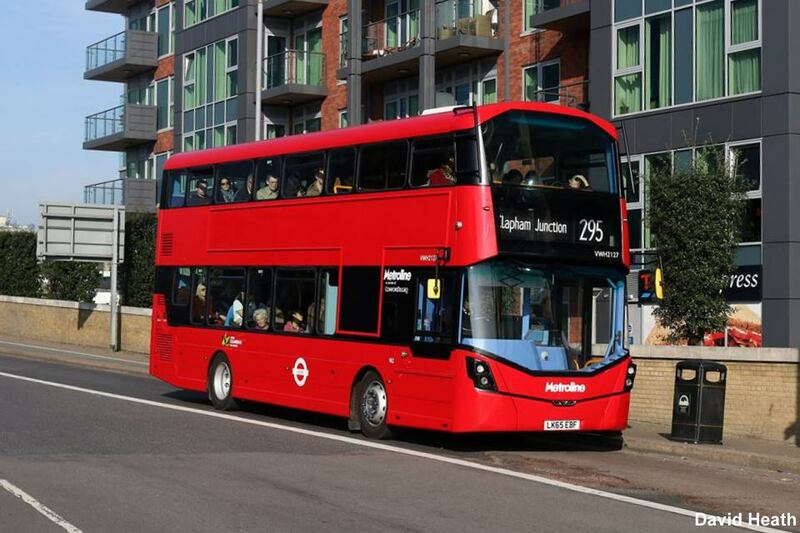 Two bus operators, Stagecoach and Metroline, have signed deals with Argent Energy to supply them with B20 green diesel. The cleaner burning fuel is made from blending diesel with renewable biodiesel from waste products, including cooking oil and tallow from the meat processing trade. By March next year, almost 3,000 of the capital’s 8,900 buses will be powered by the B20 fuel blend. Six hundred and forty-two buses operating out of four Stagecoach depots have already been using B20 for two months on a trial basis. Dickon Posnett, Development Director of Argent Energy, said: “The ever-growing demand to reduce greenhouse gases from transport is well recognised. 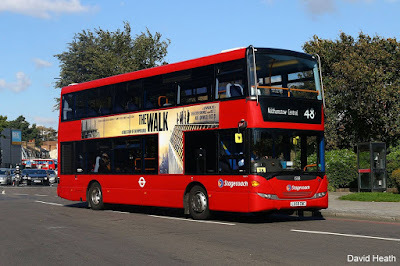 TfL and the Greater London Authority have actually done the research and have now shown they have the understanding of the immediate benefits that high bio-blend diesel can bring. Biodiesel is a renewable, clean-burning fuel. TfL requires that biodiesel blended into B20 for London buses is made from waste, rather than crop-based feedstocks. It is estimated that buses running on waste-based B20 produce 10 per cent less ‘well to wheel’ carbon emissions than a bus using ordinary diesel. London’s bus network is one of the largest in the world, carrying almost 2.4 billion passengers a year. Currently, the 8,900-strong bus fleet uses around 240 million litres of fuel each year. Under the new deals, about 80 million litres of the new greener blend of fuel per year will be consumed. The Capital’s bus fleet already has over 1,500 hybrid electric buses and 15 pure electric buses. Over 2,000 older buses have been retrofitted with Selective catalytic Reduction, reducing their NOx emissions by up to 88 per cent per bus. The number of hybrid buses will increase to over 1,700 by 2016 – a figure that will represent over 20 per cent of the fleet. 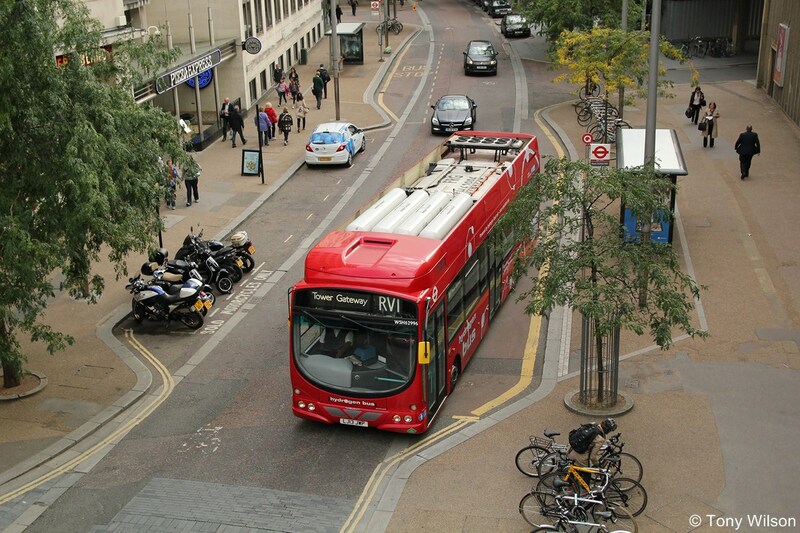 In addition, eight zero emission hydrogen buses operate on route RV1, between Covent Garden and Tower Gateway. TfL will also soon be trialling inductive charging technology that will enable special extended range diesel electric hybrid buses to wirelessly charge their batteries while they wait at bus stands. The technology will be trialled on up route 69 in east London, which runs between Canning Town and Walthamstow bus stations. The world’s first purpose-built double deck electric buses will also enter passenger service shortly. By 2020, as part of the Ultra Low Emission Zone, TfL is committed to ensuring all 300 single decker buses operating in central London are zero emission (e.g. electric or hydrogen), and all 3,100 double deck buses are hybrid.